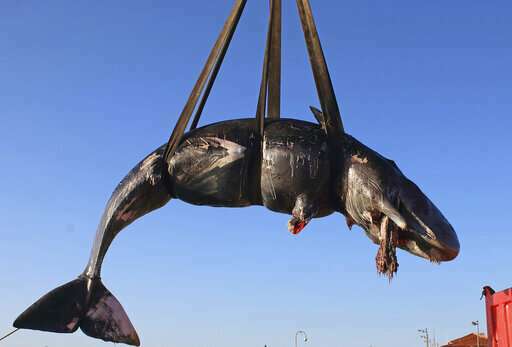 The environmental group said the garbage recovered from the sperm whale's stomach included a corrugated tube for electrical works, plastic plates, shopping bags, tangled fishing lines and a washing detergent package with its bar code still legible. "It is the first time we have been confronted with an animal with such a huge quantity of garbage," Cinzia Centelegghe, a biologist with the University of Padova, told the Turin daily La Stampa. The World Wildlife Foundation said between 150,000 and 500,000 tons of plastic objects and 70,000 to 130,000 tons of micro-plastics wind up in Europe's seas each year. 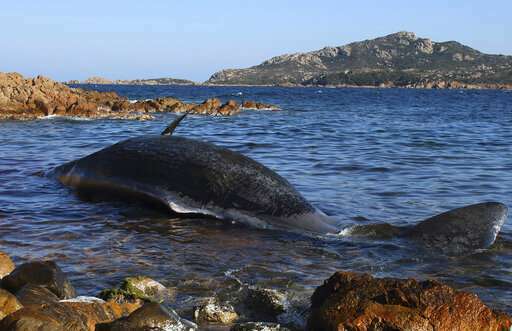 Italy's environment minister, Sergio Costa, lamented the whale's death and said he planned to propose a new law this week to limit the use of plastics. "We have been using disposable plastics in a carefree way in these years, and now we are paying the price," he said. "The war on disposable plastics has started. And we won't stop here." A plastic tax would seem to be much more urgently needed than a carbon tax. Use it to fund a fleet of ships to skim the oceans and remove as much as possible.